With our two explorer rovers, Opportunity and Spirit, both traversing the surface of the red planet, together with the research data and pictures that we have previously received from the Viking and Pathfinder missions, we now speculate that life may exist now or has existed in the past on Mars. Scientists believe that life on Mars was/is life in the form of bacterial-type organisms, many of which are invisible to the naked eye. Come, join us in a voyage from Antarctica, at the bottom of the world, to Siberia, at the top of the world; from Baja, California to the Bahamas; and from Earth to the Meridiani Planum on Mars. The Internet will connect you and your students, using content and activities, to the study of life on earth and its relevance to the discovery of past and perhaps present life on Mars. SciGuides are really fantastic. 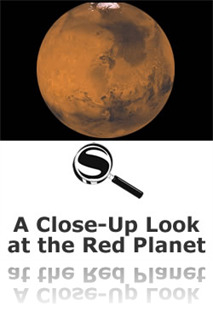 If I am ever asked to teach about Mars, I can be confident knowing I'll have A Close-Up Look at the Red Planet SciGuide to go to for lesson plans, simulations, and web-based resources. I'll be able to create outstanding lessons in a shorter amount of time since many resources are easily accessible in this SciGuide.